CHADON has decades of portrait experience. We are well versed in obtaining the best images for you and your family. As the field has expanded to include digital photography, we have also embraced the technology of green screen photography, which allows us even greater flexibility with your portraits. Click on the links below to explore the possibilities! 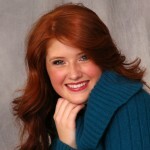 CHADON has been providing traditional portrait services to customers in Southern Indiana for decades. We have a studio available for taking portraits, or we will be happy to travel onsite and take portraits in your home or other location. Whether it is a senior portrait, engagement photos, family portraits or just head shots, we can accommodate your portrait needs. Digital green screen portraits allows CHADON to take a portrait and drop in any background the customer might wish. The possibilities are endless even with very little studio time. Click on the portrait to the left to see some samples and what we can do for you.